Last week we launched a site for one of our clients Fagron, a leading global pharmaceutical company. 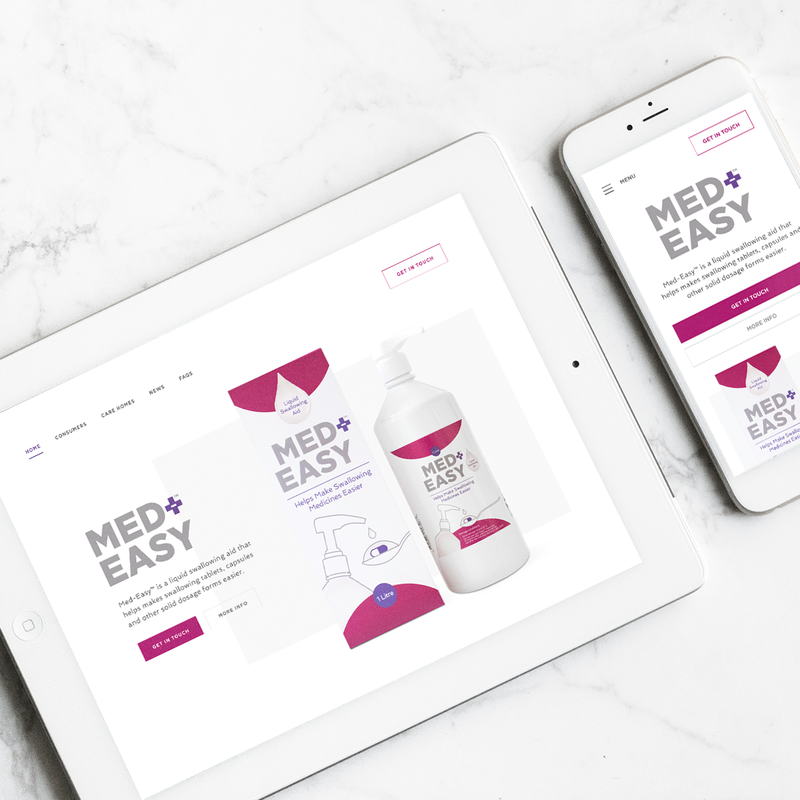 Fagron’s marketing team approached us to design and build a website for their new product, Med-Easy, set to revolutionise the pharmaceutical market. People of all ages can have difficulties swallowing medication such as tablets and pills. With its light texture, Med-Easy glides down the throat to help ease the swallowing of solid dose medication. We managed to try it ourselves and it was a big hit in our studio, so us lot at Union Room knew they had a great product to offer! The website needed to clearly target their two core audiences – care homes and every day consumers. We used imagery throughout the site which would instantly reflect and relate to these target markets, as well as featuring shots to show off the product and its packaging. The colour scheme of course had to tie in with the attractive packaging. We added touches of cherry pink and purple to create a nice contrast with the site’s neutral tones throughout. As Med-Easy isn’t yet available to purchase online, it was also important that there were strong call to actions so the user could easily get in touch and enquire about purchasing the product. We think the website looks great, but have a look here. Med-Easy has already been receiving a lot of media attention and some great feedback from customers. We can’t wait to work with Fagron again on exciting future products! Looking to launch a new product and need a website that will impact your target markets effectively? Get in touch to speak with our talented team.